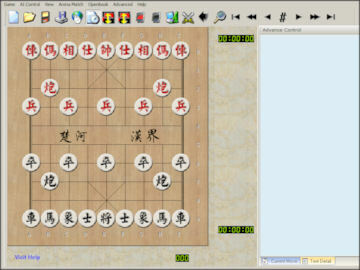 Chinese Chess Soul is a Chinese Chess program that is intended for both beginners and experts. The game offers a strong AI opponent for more experienced players, yet helps beginners to learn the game through its extensive online help, hints, and suggestions for strategic gameplay. Includes small, medium, large piece sets, and you can easily change pieces and boards as you play. Arena match game mode, where the computer adjusts its level to meet your level and record your scores. Huge Open Book including tens of thousands of GM's openings and lots of Chinese Chess Books Inside. Get context-sensitive help on the program and on the basic rules of Chinese Chess from the extensive built-in help manual.